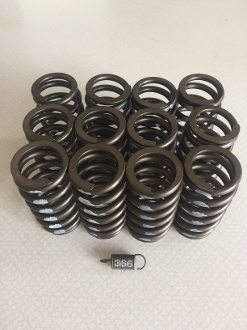 Twelve (12) Cummins 3916691 HD valve springs & a 3200rpm gov spring. These heavy duty valve springs are required if you plan on running any application between 3200 - 3800 rpm or up to 48 psi boost and/or also required for the safety of your engine if you install an exhaust brake. Don't be fooled by people selling cheap GSK’s and valve springs out there. A broken spring can take out an engine.